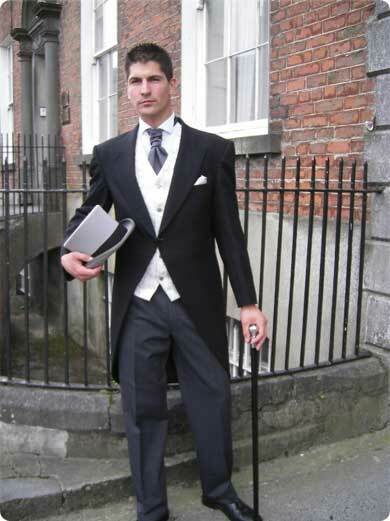 Morning Wear is generally worn for weddings and a trip to Ascot Races. The styles available are Traditional Morning Tails, Short Jacket or Prince Edward. Top Hat, gloves and cane are optional. Colours available are Black, Navy, Charcoal Grey, Mid Grey, Light Grey, Dark Chocolate Brown, Beige or Cream.